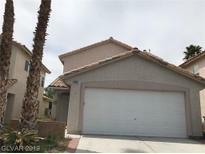 Maryland Le Baron - This is a must see for the entry-level home buyer in Silverado Ranch! ! MLS#2063222. Compass Realty & Management, L.
Amber Ridge At Mission Hills - Plus the formal living room!21x16. MLS#2062726. Wardley Real Estate. Spencer Pyle - Home comes with a 30-day buyback guarantee. Terms and conditions apply. MLS#2060738. Opendoor Brokerage LLC. Silverado Courtyards - Meticulous owner makes for a move-in ready home. MLS#2055621. Realty ONE Group, Inc. Crystal Springs - Amazing pool, covered patio, synthetic grass, lg side area, oversized 3 car garage 747 SF MLS#2061230. Urban Nest Realty. Silverado South - Home is ready to move in! MLS#2060557. Centennial Real Estate. Carousel Park - Features To Include: Freshly Painted Interior And Exterior Paint, New Flooring, Kitchen With New Granite Countertops, Backsplash, Separate Family Room With Fireplace, Vaulted Ceilings , Master Suite With Walk In Closet, Nice Sized Bedrooms, Backyard With Covered Patio, Desert Landscaping, Epoxy Flooring In Garage, New Fixtures, New Faucets, New Blinds, New Sinks. MLS#2060099. Brazill Team Real Estate. Silverado Courtyards - Great 2 Story Home In Gated Silverado Ranch Community, Low Maintenance Landscaping Near Schools, Shopping And More! MLS#2057943. Re/Max Titans. Spencer Pyle - Out back is covered with a large patio, low-maintenance landscaping, and a river rock/veggie garden area. Low HOA! Check this out! MLS#2059348. Empire Realty & Management. Crystal Springs - Low HOA includes 3 community pools, spas & tennis courts. MLS#2057604. Compass Realty & Management, L.
Silverado South - 2 Story Home Centrally Located In Silverado Ranch*easy Access To Shopping, New Sprouts Market,Schools And Park Within Walking Distance*easy Freeway Access*open Floor Plan With Large Living Room With Ceramic Tile*spacious Bedrooms*2nd And 3rd Bedrooms Share A Jack And Jill Bathroom*extra Large Master Bedroom Has A Walkin Closet With Natural Light*situated On A Quiet Cul-de-sac Lot*easy Care Desert Landscaped Front And Back MLS#2057064. BHHS Nevada Properties. 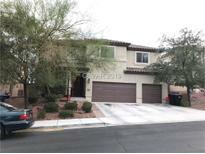 Canyons - This is a Blue Heron Home, lot of upgraded, never lived in, view of Las Vegas you cannot miss this one. MLS#2056740. Go Global Realty. Silverado Ridge - Kitchen Has Island With Tile Counters, Built-in Microwave, Pot Shelves, Lots Of Natural Light, Sunken Family Room With Fireplace, Upgraded Flooring, Glass Accented Pony Walls, Ceramic Tile Floors, Solar Screens, Pet Door, This Is A Gorgeous Home With A Big Backyard And A Lot Of Upgrades, No Homes Behind Or Across The Street. Plenty Of Parking. MLS#2056563. Century 21 Americana. Carousel Park - Pool Homes Are Lottery Tickets Dont Miss This MLS#2056067. Platinum R.E. Professionals. 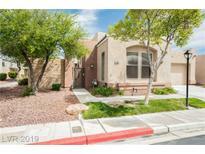 Silverado South - No need to look elsewhere/community close to everything/shopping/schools/entertainment and restaurants/Call List/agent first WELCOME HOME :) MLS#2055543. Black & Cherry Real Estate. Crystal Springs - Grand 2 Story 4 Bdrm w/POOL-SPA*Huge Corner lot*2 & 3/4 bath*3 car+WORKSHOP area*Open kitchen w/pantry & eat in nook, Corian, family room, formal LR & DR All tile down, all wood upstairs except Media rm has carpet*SUPER BONUS room wired for Media*PLUS 305 sq ft OPTIONAL GAME ROOM above LR*Large master w/huge closet*4th Bed down w/3/4 bath*Laundry room 2nd floor*Intercom*Custom pool/spa w/sunning deck, center 5 ft deep*Great private back yard! MLS#2054341. Blue Diamond Realty LLC. Common area maintenance is part of the Crystal Springs HOA. MLS#2049638. Opendoor Brokerage LLC. Maryland Pebble - Convenient to shopping, restaurants, entertainment, and freeway access! Come see today! ! MLS#2052263. Easy Street Realty Las Vegas. Silverwood Ranch - Laundry Room w/ Sink & Cabinets. Low HOA! 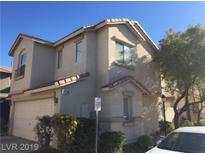 MLS#2051801. Keller Williams Market Place I. Crystal Springs - Very unique~ One story freshly painted 4 bedroom 2.25 bath, Large chef style kitchen, Open floor plan, Entertainers Dream, Huge lot, End of the cul-de-sac, Large detached garage, Plenty of RV Parking, The possibilities are endless with this property, Easy access to: Las Vegas Strip, Airport, NEW RAIDERS STADIUM, and tons of shopping. Make this home yours today! MLS#2050823. Evolve Realty. 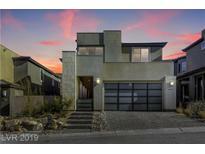 Silverado Estates - This home is part of the Moondance/Sunchase Community Association. MLS#2049980. Opendoor Brokerage LLC. Honey stop the car!You don't want to miss this one.Nestled in a desirable Crystal Springs CULDESAC.Highly upgraded kitchen with GE Cafe Monogram appliances.Custom cabinets,island w wine fridge.Master suite is fully upgraded custom closet,bath tub &shower,carpet,window coverings,wall paper,lighting.Backyard features custom fire pit awning w/a sparkling pool surrounded by lush landscaping & fruit trees!2.5 Garage w/epoxied floor and water softener. MLS#2049403. Realty ONE Group, Inc.